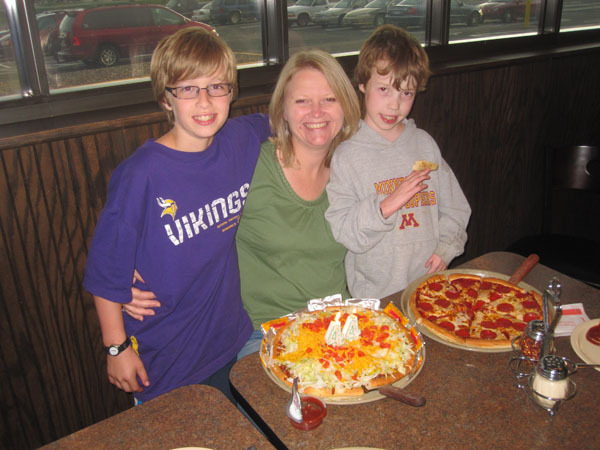 Luke and Avery hopped on a bus Monday to go up north for four nights and stay at Camp Odayin. It's a great camp for kid's with heart conditions. They do all sorts of fun stuff while they are there. But the best part was, mom and dad had four nights of freedom! We got to do all sorts of fun stuff as well! Like staining the swing-set! Don't tell Miss Sheri that she don't know how to party! We don't get to talk to the boys while they're at camp, but the camp uploads pictures for us to see every day. As long as they look like they're smiling, mom and dad stay happy and don't worry about them. Lucky for us, they post very few pictures of them crying. It's kind of weird seeing photos of the boys doing things that I don't think I could get them to do at home. I find myself asking "What do those camp counselors got that I don't got?" 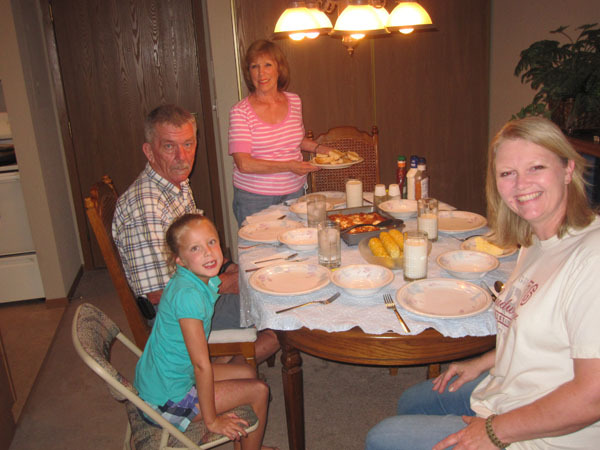 On Thursday night, Miss Sheri and I went to visit Grandma Linda. We enjoyed eating her lasagna and having conversations with her company. Alan was Grandpa Denny's brother and his daughter was with him as well. They're very nice people from Pennsylvania. We also had some good corn. Luke and Avery came home Friday night just in time to celebrate Miss Sheri's birthday. She wanted to go to Godfather's Pizza and have a Taco Pizza birthday cake. Then we went home because them boys was tired and crabby! 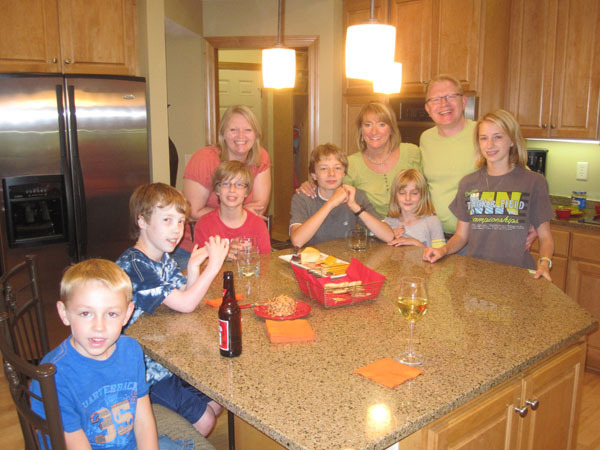 On Saturday night we went to Dr. Bollig's to enjoy eating some cheeseburgers with him and his family. Just to be difficult, I insisted on having a hamburger. 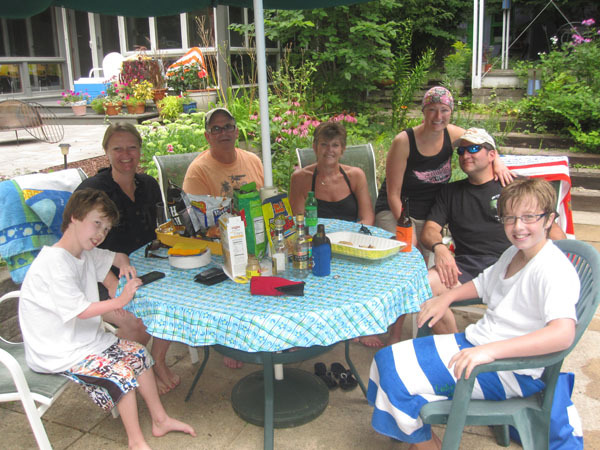 On Sunday, we went swimming with our good friends, the Dorniks and the Quinlans. 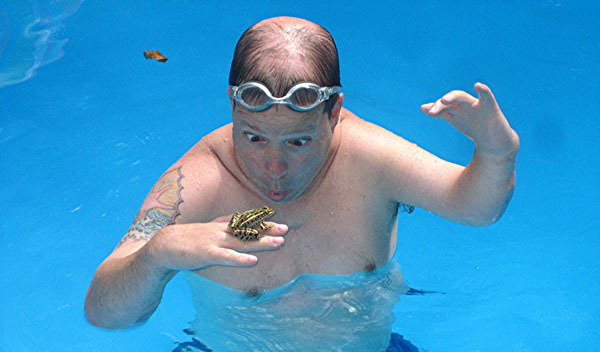 The water was cold but the frogs were good!